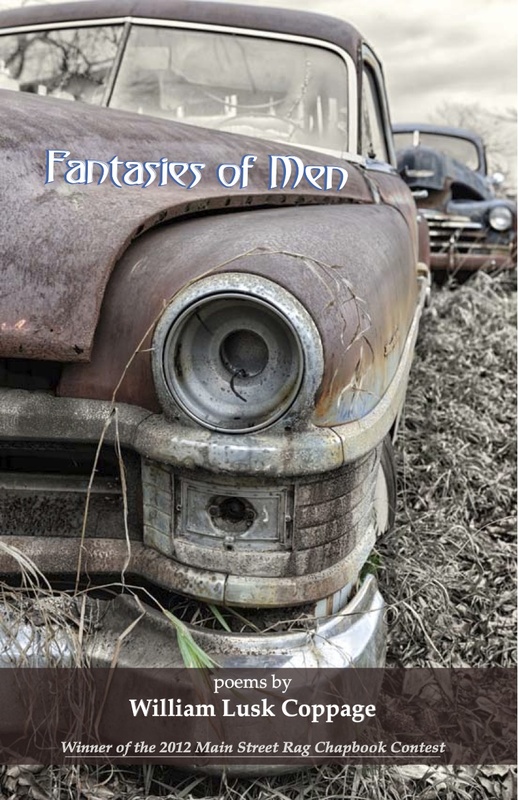 I just got word that presale for my upcoming collection, Fantasies of Men, is live. It won the MSR 2012 Chapbook Contest. It’s due to be released in June and will sell for $11, but you can get it now for $6.50 by placing an advance discount order at the MSR Online Bookstore. With "South" as the only master his compass wants to obey, torn between finding his place in the world and finding his way back home, William Lusk Coppage is one of the few ambassadors of the contemporary south. These poems are a journey through the back roads, open fields, and blues bars of the delta as only a native knows it. In these poems are the intimate places that a child of Dixie carries with them no matter where paths of the earth might lead them. There are no tourists here, only the local sage, bare and unapologetic. 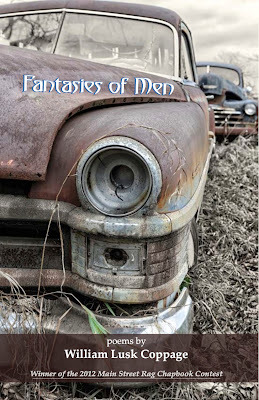 Reminiscent of Robert Wrigley's Reign of Snakes, William Lusk Coppage's collection Fantasies of Men examines a cultural definition of what it means to be male. Embedded in the Mississippi landscape, with "roadsides strewn with the gutted abdomen of deer and doves," these poems sketch a land of farming, fishing, and hunting; of John Deere ball caps, possums, and beer. But Coppage's work rises above the stereotypical, becomes instead a rumination on how we locate ourselves, on what we consider home. A memorable collection.